Although leading by example isn’t exactly a new or revolutionary management style, it is one that many struggle with and one that can be difficult to master. Even the most technical of leaders and those who have all of the certifications they need and all of the rules and regulations memorized, often find that leading by example isn’t as easy as taking a class or memorizing a handbook. Leading by example not only holds the managers to strict standards but it requires a great deal of interpersonal communication skills. Those who lead by example need to be able to form strong human relationships with those that they need. This can be a challenge for any manager, especially those who aren’t exactly natural born leaders. The good news is, there are several proven strategies that can help any manager, in virtually any field to master the often tricky art of leading by example. Listen to your team. Practice patience and try to not interrupt when someone is talking. Be attentive, make eye contact, nod and ask pertinent questions. Ask questions. Seek to understand. You’ll receive valuable insights and set a tone that encourages healthy dialogue. Roll up your sleeves. Show that when a job needs to be done, everyone at every level needs to chip in and participate. Do your part, and make sure that what needs to get done, gets done. Establish an impeccable standard of excellence. The best way to establish a standard is by modeling the expected behavior yourself. Showcase excellence. When your actions have the potential to affect everyone around you and the bottom line, don't dabble in mediocrity. Reflecting excellence is critical to exercising effective leadership. Be a fearless problem solver. Instead of freaking out in a bad situation, focus on ways to deal with problems. Be fearless and create solutions. How a leader reacts in a bad situation speaks a lot about his personality. So, make sure that you create a good example for others. Take responsibility. Blame costs you your credibility, keeps team members on the defensive and ultimately sabotages real growth. Great leaders know when to accept that mistakes have been made and take it upon themselves to fix them. Praise improvement, even minor improvements. Psychologists discovered long ago that when you positively reinforce a desired behavior, people are far more likely to repeat that behavior. Most people want to do the right thing, which means you will find far more success in leading a team if you focus on using positive reinforcement rather than negative actions like threats and fear tactics. When you lead by example your behavior becomes a catalyst for people’s trust and faith in you. And it also emphasizes what you stand for. Leading by example shows people exactly what you expect and gives them living proof that it can be done. On a deeper level, leading by example and being as good as your words builds trust. It’s a sign that you take what you say seriously so they can, too. 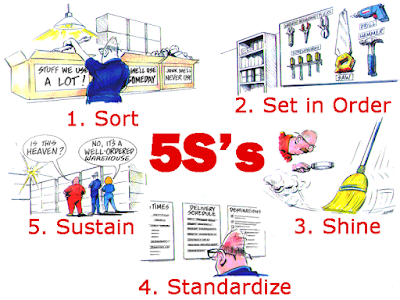 5S is a process and method for creating and maintaining an organized, clean, and high performance workplace. It enables anyone to distinguish between normal and abnormal conditions at a glance. 5S can be the foundation for continuous improvement, zero defects, cost reductions and a more productive work space. The 5S methodology is a systematic way to improve the workplace, processes and products through employee involvement. When first getting started with 5S, it is important to foster employee engagement, monitor improvements, and create goals that are measurable. Doing the following things will help you get started and make your 5S program last. One of the first things you can do to show how 5S can be applied in your workplace is to have your managers apply 5S to their offices. This will encourage your workers by showing them how 5S can improve efficiency on a small scale. The whole team should be trained in the vision and objectives of the company and given a clear understanding of what the company is trying to achieve through them and their 5S program implementation. They need to have a clear understanding of the seven wastes of lean and an overview of basic lean principles. With this knowledge they will be ready to undertake their 5S implementation. It would be unwise to try to implement 5S throughout your entire organization in one go (unless you have a small company), better to select one area in which to concentrate your efforts and provide a show piece for the rest of the organization. In my mind it would be best to select the worst area in the company so as to show what can be achieved and the differences it can make. Showing success in one area gains the confidence of others and a reason to buy-in. 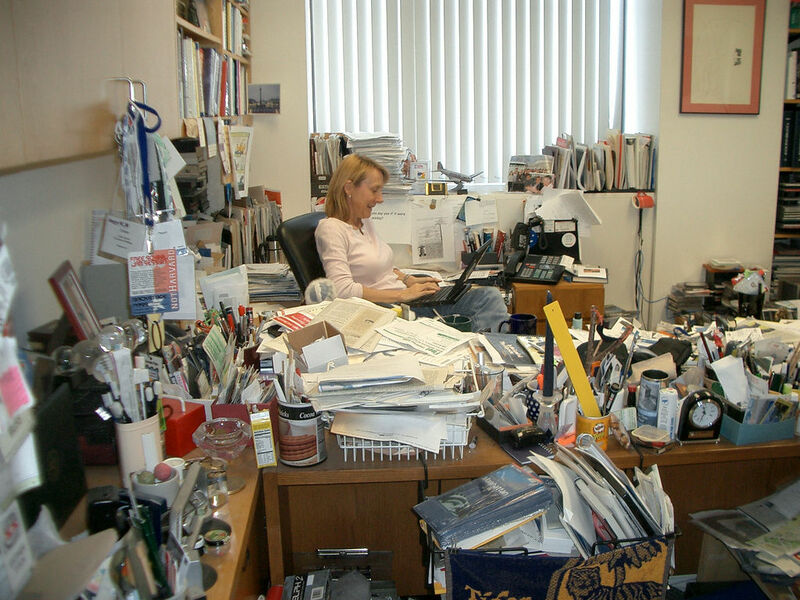 Your management should understand and practice the ideas of 5S themselves so as to provide an example to your other employees, it would be hard to motivate your employees to keep a tidy workspace if every time they walked past their managers desk they saw piles of untidy clutter. Management needs to be ready to explain and help fix any situations that arise. Doing 5S is liberating. We have all experienced that feeling after cleaning the basement or garage after a year of accumulating stuff. But 5S is just one tool that enables stability that enables flow. Well organized and sparkling clean waste is still waste. Getting bogged down in 5S can be an avoidance pattern - avoiding the hard work of thinking about how to create flow and solve the real root cause problems inhibiting flow. Whether it’s before-and-after pictures or testimonials from users who have already completed a 5S project, there’s plenty of compelling evidence about how effective this discipline can be. At first you may have to draw these examples from the Internet or companies whose programs you’re emulating. But as your own 5S gains traction, they could just as easily come from the early adopters within your company. Either way, use your company’s internal communications tools to “sell” 5S often—and in varied ways. Once the team has completed the first activities they’ll need to focus on sustaining. The team should create standard audits to assess and score their area so that they can be monitored on an ongoing basis. In addition, the team should meet to review how things are working and what additional improvements they could make. Photographs should be taken of the improved work area and a 5S story board put up to show the improvements gained. I would also suggest that the team be allowed to make a presentation to the management and the rest of the organization to show off their achievements. The 5S system is a good starting point for all improvement efforts aiming to drive out waste from the manufacturing process, and ultimately improve a company’s bottom line by improving products and services, and lowering costs. Many companies are seeking to make operations more efficient, and the concept is especially attractive to older manufacturing facilities looking to improve the bottom line by reducing their costs. 3. Do you spend less than 60% of your day focused on your most valuable tasks? 4. 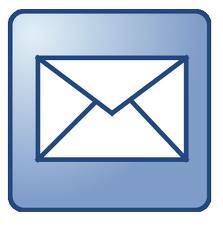 Have you missed deadlines or been late with responses to requests? 5. Do you complete lower priority task first? 6. Have you led a meeting without sending an agenda or missed to follow-up with minutes? 7. Do you have action items on your To-Do list that have been there for a while? 8. Have you discovered papers that needed your attention ages ago and now it is too late? 9. Do you have trouble retrieving files easily when needed? 10. Does it take you a while to find a key contacts information when you need it? If you can answer yes to any of these questions then disorganization may be causing poor job performance. Being disorganized affects job performance and how others perceive you. Being disorganized can cost you and your company money, time and customers. You've probably heard the saying, "Time is money." Let's consider the cost of disorganization for you and your employer for a moment. For example, suppose you are just spending one hour a day looking for things and your pay just $20 an hour. In one week you have cost $100 and over a yearly period of 50 weeks (with two weeks off for vacation) the cost to your bottom line is $5,000. Now, if your business has 100 employees and each of them is wasting one hour a day for 50 weeks of the year your bottom line is impacted to the tune of $500,000. Wow, that is a lot money! There are other costs to you and the organization like buying duplicate and triplicate of things you can't find now only to locate them later. Missed deadlines can result in customer dissatisfaction, missed product launches, and lost revenues. Time is probably the largest impact to you and your company since it can never be replaced. If you're always wading through clutter, misplacing key information or losing things in plain sight, then you need to start getting organized. An organized space is simply one in which the things you need the most are close at hand, the things you need often are easily found, and the things you need rarely are out of the way but easily retrieved when needed. The old adage often found in 5S describes an organized space as "a place for everything and everything in its place." 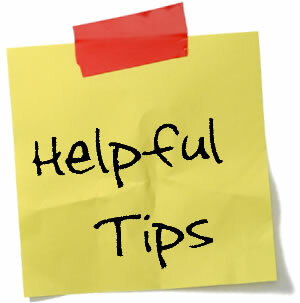 You should be able to find things when you need them so you don't waste more time and money duplicating your efforts. That means that organization has to meet your needs, not some imposed notion of cleanliness. Sort (Seiri) - Distinguishing between necessary and unnecessary things, and getting rid of what you do not need. Set (Seiton) - The practice of orderly storage so the right item can be picked efficiently (without waste) at the right time, easy to access for everyone. A place for everything and everything in its place. Staying organized will save you time and money and allow you to focus on your tasks effectively thus increasing your personal productivity. Don't let disorganization hold you back. Leadership is not an exclusive club reserved for those who were “born with it.” The traits comprising the raw materials of leadership can be acquired. Link them up with desire and nothing can keep you from becoming a leader. Every organization is permeated by an invisible culture which communicates an unspoken message that shapes its people. As has often been said, “leadership is more caught than taught.” Be attentive to the influence of the following five elements of your organizational environment: habits of social interaction, physical design and decoration, morale / emotional tone, level of intellectual stimulation, and spiritual well being. Say it: explain the task. Show it: demonstrate how to perform the task. Assign it: let the other person attempt the task. Study it: observe how the person performed the task. Assess it: offer feedback based on the person’s performance. Indecisiveness is a productivity killer. 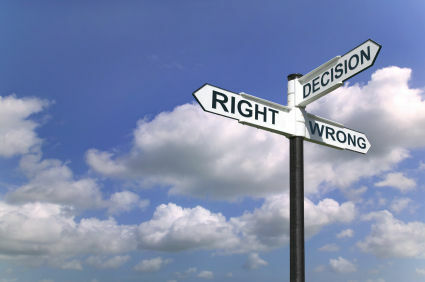 Decision making is an essential part of business in all organizations. In traditional companies this power is typically held by few managers at the top of the organizational ladder. Lean companies however strive to empower their employees to make decisions at all levels through access to data, knowledge of evaluation methods, and defined standard processes. Nevertheless, decisions are necessary in all organizations and the following these guidelines can be beneficial. Timing. Neither making snap decisions nor always having to “sleep on it” is the best approach to the time factor involved in making decisions. Make your decisions based upon the circumstance and the time available. Within the realm of practicality, give yourself enough time to take the following decision-making steps. Define the problem. Be careful not to confuse symptoms of the problem with the real problem. Identify the options. Try to get at least four alternatives. Since you may be too close to the situation, seek others’ input. Gather the facts. In order to evaluate your options, you must gather the facts about the ramifications of choosing each option. List both the pros and cons of each option. Evaluate the options. Usually this will include a comparison of costs, time required to implement and the expected end result of each option. Choose and put into effect. Key, and often neglected, aspects of implementing decisions are to communicate the decision to the affected parties, outline why the decision was made, why the particular option was picked, what actions are required on their part and what beneficial results are expected. Without the right information, decision-making, and therefore, progress, doesn’t happen. Here are five common pitfalls to decision-making -- and how leaders can avoid them. Deciding alone. There are many benefits to consulting with others on a decision: gaining different perspectives, more resources to draw upon and more commitment to the decision by those consulted. Every decision a major decision? Not every decision requires a lengthy decision-making process. Don’t get bogged down with minor problems. If they’re minor, make a reasonable decision and move on. “The last time I was wrong was when I thought I made a mistake.” No one is always right. If you’ve made a bad decision, admit it and get started on fixing it. Remember – it’s impossible to force a bad decision into being a good one. “Boy! I sure wish I hadn’t.” Just the opposite to the pitfall above. Because no one can be right all the time, don’t waste your energy regretting bad decisions. Get on to current issues. Failing to use past precedent. Maybe the same problem has come up before and been effectively solved. Perhaps, if it has come up enough, there is a company policy that covers it. Not every decision will be right but if you avoid these pitfalls and follow these six guidelines you will find you have many more right decisions than wrong decisions. Remember, the only thing worse than a wrong decision is no decision. The first major step of any root-cause analysis is to identify exactly what problem or issue your agency is facing. If you don’t pinpoint the fundamental problem, you aren’t able to complete a root-cause analysis. You must understand the issue, and you must have a consensus on exactly how it manifests before you’re able to move forward in your analysis. Lean Tip #1897 – Ask Questions, Keep Digging Till Root Cause. a) Would the event have occurred if this cause was not present? b) Will the problem happen again if this cause is corrected or eliminated? If the answer is no to both questions, there is a good chance you have uncovered the underlying cause. If not, keep digging. Note that there may be multiple root causes, each of which must be addressed to prevent similar issues in the future. Lean Tip #1898 – Breakdown the Problem into Smaller Pieces. Completing a task or solving a problem can seem overwhelming and impossible if you take it all in at once. To decrease anxiety and think more clearly try to break the problem down. Try to identify the different things and people it consists of. Then figure out one practical solution you can take for each of those pieces. Try those solutions. They may not solve the whole problem immediately. But they might solve a few pieces of it. And then you can keep trying other solutions for the rest of the pieces until there are none left. Lean Tip #1899 – Enlist Open-minded People When Problem Solving. When tackling a big problem many people just grab anyone available with two hands and a brain. Unfortunately, closed-minded team members can not only delay the solution, they may instigate a bigger problem than the one you are trying to solve. Great problem solvers know the best results come from groups of open-minded people. Your problem-solving team must be willing to get outside of the box and uncomfortable. Ultimately this approach will surface creative new solutions and processes. 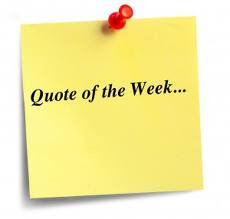 Lean Tip #1900 – Find the Lesson or Opportunity Within the Problem. No one can effectively complete an assignment if they are unsure what tasks they are responsible for. Make sure that the entire team knows the scope of the project and that each team member is clear about exactly what is expected of them. Getting the team together regularly to check progress, ask questions, and address any issues is another good way to keep everyone on track and assure that all team members are aware of their responsibilities in the project. Possibly the single most effective way to improve interpersonal communication in the workplace is to instill a sense of trust among your team members. Transparency is key here; if team members feel like secrets are being kept from them, any trust you have built goes right out the window. Of course, sensitive information should be handled as such, but team members have a right to know when they are not privy to such information. Be open and honest with your team members, and reassure them that they can do the same with you. Mutual trust is important in any relationship, including a professional one. The best managers are the managers that can relate to their employees. That includes owning up to the decisions (and errors) that you make and admitting when you could have done something differently. Everyone makes mistakes, so by confessing your flaws, you are showing your employees that you are just as human as they are. Lean Tip #1904 - Have An Open-Door Policy. It Builds Trust. An open-door policy in place sets the precedent that anyone can ask questions, voice concerns, and pitch ideas at any time. This is an important part of building trust within your team. Making management inaccessible sends the message to lower-level employees that they are not as valuable. Keeping the doors of communication open is crucial. While you’re opening figurative doors, open literal ones as well. Removing physical obstacles between employees creates a sense of mutual trust and encourages the open exchange of ideas. Problems can be presented and resolved as they arise instead of waiting for the weekly company meeting. It’s often easier for managers to make quick decisions based on their experiences. But being collaborative means setting the quick trigger aside from time to time and involving all team members in some of the bigger, impactful decisions during your huddles and team meetings. This keeps everyone on the same page and allows them to refocus their time and energy where needed. Every goal requires a minimum number of steps. Some things are more easily accomplished than others. Some things require more focus than others. Life is just a big empty canvas. You create your own art. And, then you decide how to turn it into a masterpiece.